Geographic Encyclopedia | FadiSoft Inc. Powerful browsing tool for all countries and their capitals and flags. 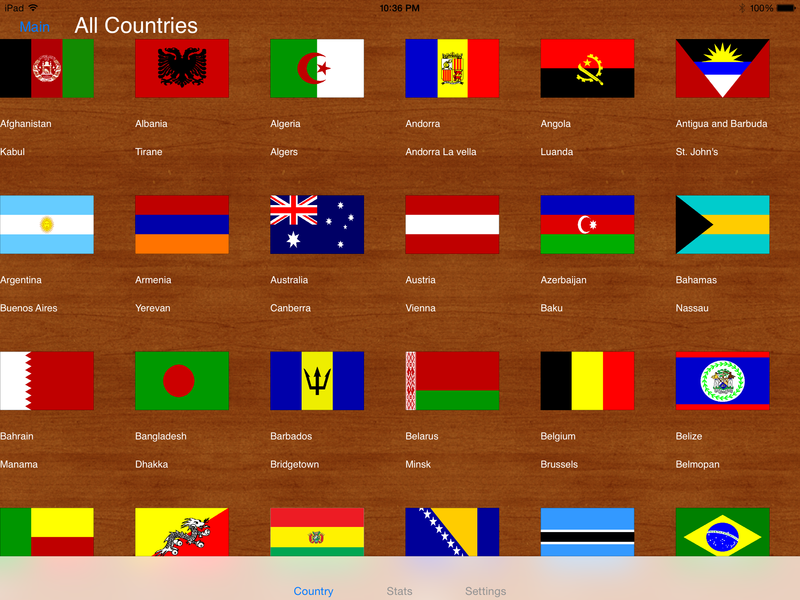 With over 300 flags and up–to–date data for countries and territories, it is a great geography app for all. Browse the countries of the earth, in a way you could not have done before. Commonwealth of Nations, European Union, Euro Zone, Francophonie, Mediterranean States, Middle East, Southeast Asia, United Nations and more). Stats for total number of countries, total area, total population for every search result as well as web links to wikipedia for all countries and search categories. Extra functions for search for monarchies, islands with island count, countries with similar flags, territories for a given country, countries with similar names to their capitals, and countries that share the same capital names, searches for territories as well. And many more options such as standard functions to filter by continent, and sort function to sort by area, population, country names, capitals, continents, or islands count in ascending or descending order. FadiSoft icon on credits page lists all apps by FadiSoft (IOS version). Pingback: Geographic Encyclopedia released for the AppStore | FadiSoft Inc.
Pingback: Geographic Encyclopedia android version released | FadiSoft Inc.